It’s said that once you make the change from traditional to bib shorts, you never look back. We’re inclined to agree, but we know that not everyone is sold on the idea of the all-in-one. Not sure what to expect or whether bibs are for you? Here are a few pointers to help you make the right choice for your ride. 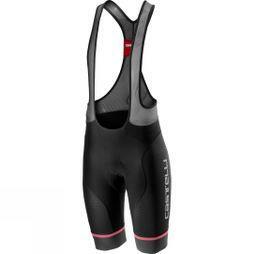 Bib shorts are designed with straps over the shoulder to hold them in place. Although they might take a little longer to get on and off, this means there’s no waistband which, when you’re bent over your handlebars all day, is a welcome change from the discomfort of elastic digging into your middle. Wearing bib shorts prevents this and helps you feel as though your blood flow and breathing are less restricted. You’ll clock up more miles in the saddle, plus there’s no danger of sweat collecting at your waist and creating chafing, as with a traditional waistband. If you find that your chamois slips out of place in regular cycling shorts, bibs could be the way to go. Throughout your ride, traditional shorts will inevitably slip down causing your chamois to move out of place; ultimately, this will cause you discomfort in the saddle (if you’ve had a few saddle sores, you’ll know what that feels like!) Because bib shorts are held in place by over-the-shoulder straps, your chamois will stay in place meaning less danger of chafing, so you can ride further, for longer. The straps also contribute to an overall better fit, meaning there are fewer opportunities for pressure points or fabric bunching. This provides you with total comfort and a streamlined silhouette on your bike and holds everything in place when you most need it. One of the main drawbacks of wearing bib shorts comes when taking ‘comfort breaks’. Bib shorts can be a little tricky to get in and out of, which isn’t always ideal when you’ve been in the saddle for a few hours and you really need to go! However, with your lower back covered, you’ll better regulate your temperature on the bike by keeping out the windchill, plus you’ll protect your kidneys which can be exposed to the cold in traditional shorts. Bib shorts create a seamless transition from jerseys to shorts, with no skin on show even when you’re on the drops. They might be little more expensive, but bib shorts are certainly worth the investment, particularly if you’re spending a lot of time in the saddle. They provide better all-round comfort, helping to keep you out riding for longer and further. Anything that means we can spend more time on our bikes is a resounding ‘yes’ from us.